I cannot believe a whole year has passed since the Great British Bake Off. Last year’s winner, Nadiya Hussain is almost as popular as Queen Mary Berry herself and I for one am so looking forward to the new series. 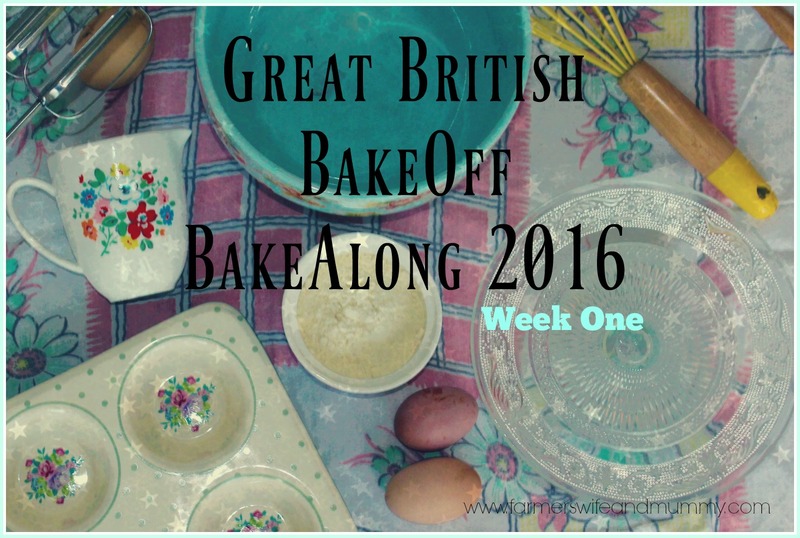 Week One, as always is cake week and constants have to do a twist on a British classic. Mary’s technical challenge is a popular little cake with a fatless sponge and tricky chocolate work. Finally, the bakers have the opportunity to show the judges what they can do with their showstopper. I am, once again aiming to do a bake along but, as you all know, I usually flounder at bread week. I spent ages thinking about my bake this week. 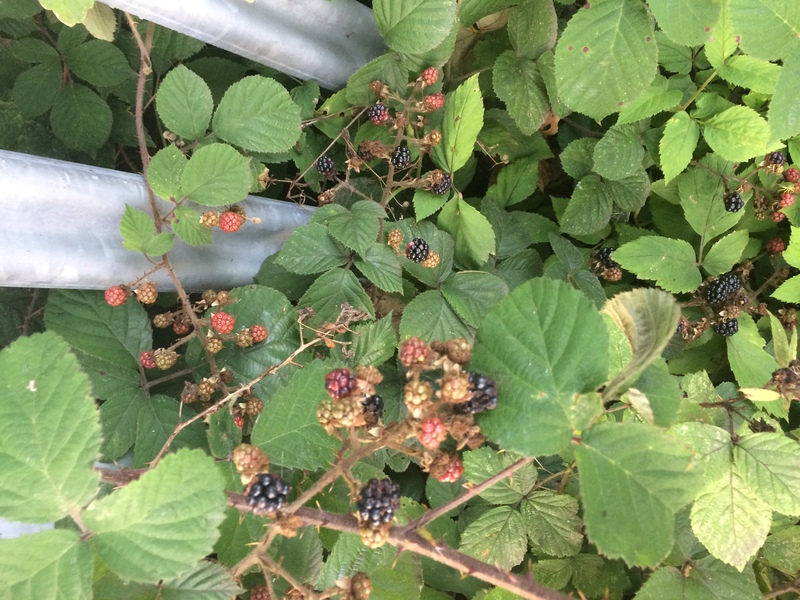 With it being harvest time, it was a golden colour I wanted for my sponge and, with blackberries currently bulging on hedgerows up and down the country, they really did have to be included. 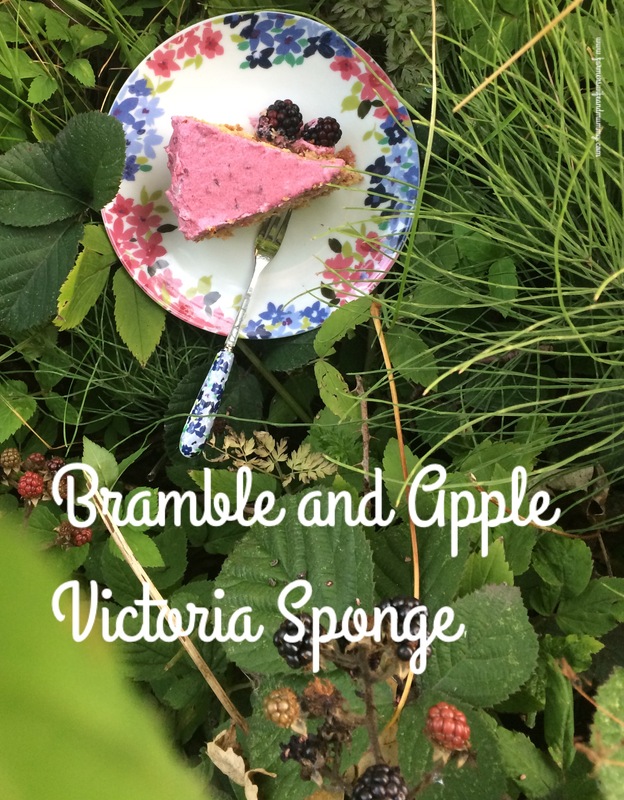 This week then, it is the turn of an Apple and Bramble Victoria Sponge. I got the golden sponge by using brown flour and I think it worked perfectly. 1 eating apple (skin still on), grated. Grease and line two 8-inch cake tins. 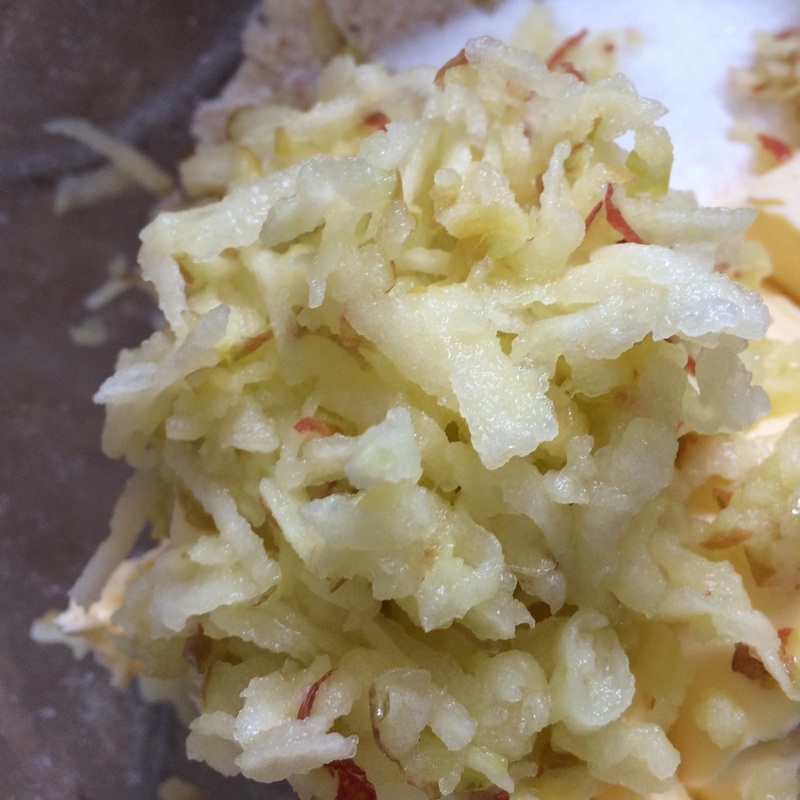 I like the all-in-one Victoria sponge method so put the flour, sugar, butter, eggs and baking powder into a bowl and grate the apple into it. Mix until a smooth batter. Bake for 25 minutes. Cool in the tin for ten minutes and then turn out and allow to cool completely. 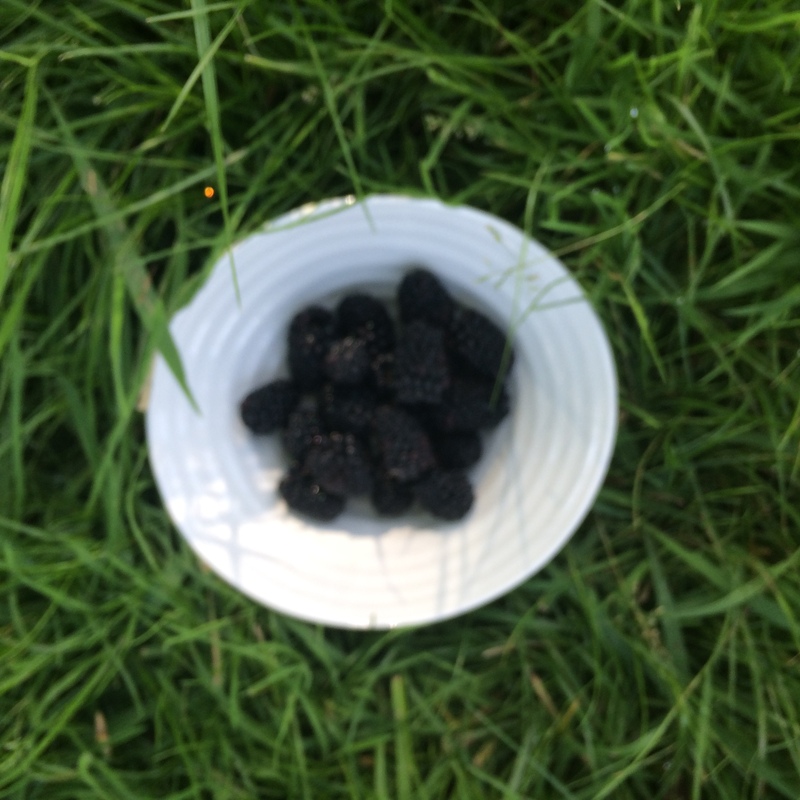 When cool, put the blackberries in a bowl and liquidise with a hand held mixer or similar. Add some of the mixture to the icing sugar and butter and beat. I gradually added more as was needed to make the icing the right consistency. Spread half the cake with bramble jelly and the other with a thin layer of icing. 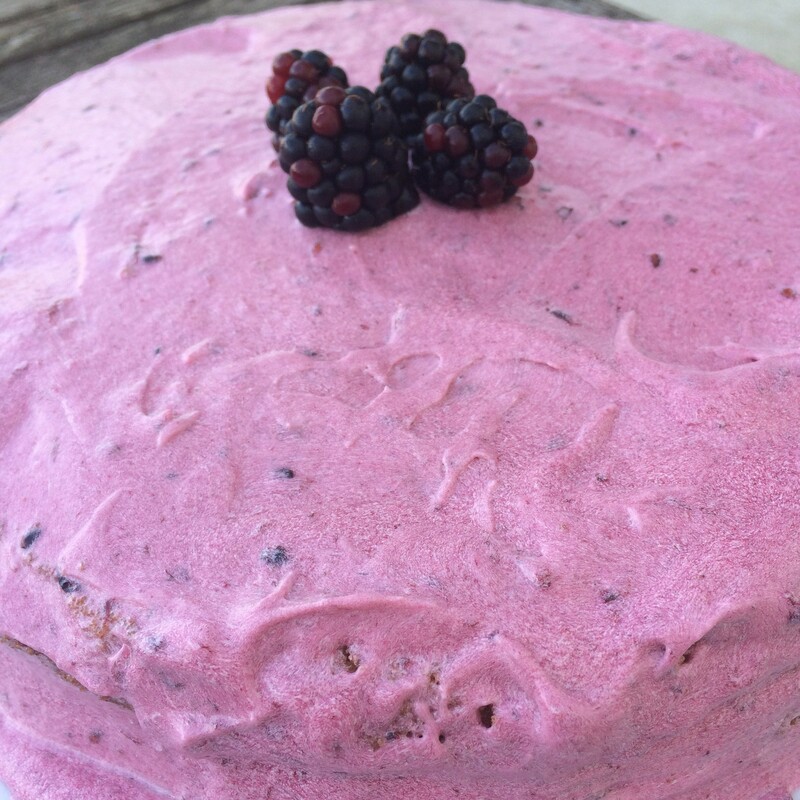 Cover the top and the sides of the cake with the rest of the icing and decorate with blackberries. You can’t get more seasonal than that. It looks completely delicious and I would not mind a slice or two 🙂 I am so looking forward to Bake off! oooooh what a gorgeous coloured topping on your cake Emma! i love apple and bramble flavour’s too. i love how you had to take your photos within the undergrowth lol – been there done that, got the apron !!! 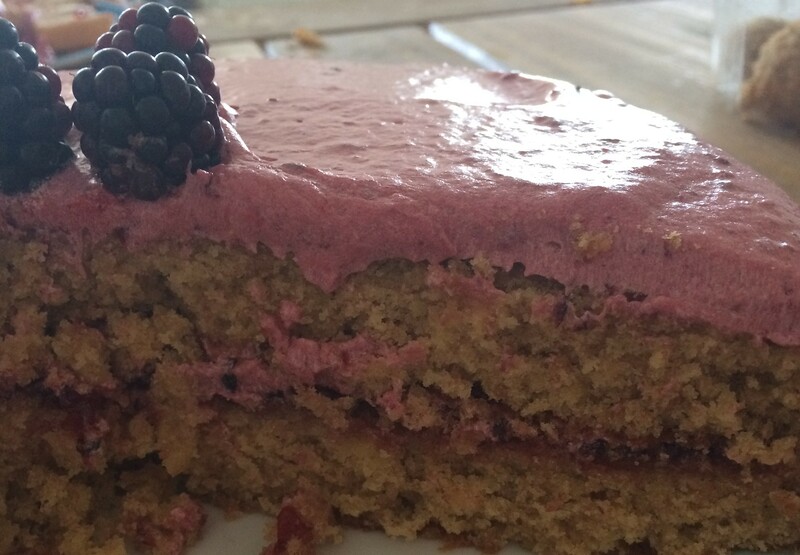 Love the sound of this cake Blackberries and apples are just such a fabulous flavour combination. The colour of the icing look amazing. 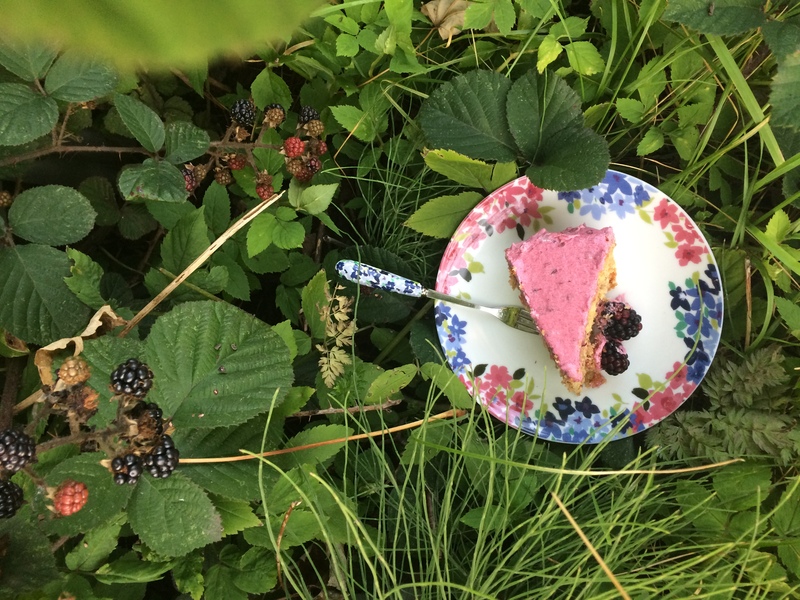 What a delicious cake, perfect for the time of year with the blackberries ready for foraging in the hedgerows. I love the idea of using the wholemeal flour too to make it a little healthier, I’ve done that with pastry before but never with a sponge – I’ll certainly have to give it a try. It looks great, apple and blackberries sounds delicious. Love the colour of your icing!